Needless to say, London is not only known for its attractions and heritage, but also for being one of the most expensive cities to travel to. Due to this little disadvantage many voyagers seem to opt for more affordable Europe capitals and always leave the London trip for better days. My aim here is to point out that if you really dream of spending several days in the British capital but can’t manage to squeeze your dream into your reality budget – you don’t need to give up. Travelling cheaper around London may take a bit more planning and some compromises but still it does not need to be much pricier than travelling to any other Europe attraction! Read our insider tips on spending as little as possible while still making the best of your trip! The first and most basic way to save on your flight tickets is to plan your trip as early as possible. Do your research, see which companies and airports offer the best prices; if you are not set on a particular time for your trip, you could also ask about and take into consideration the times at which tickets to London are the cheapest. If you happen to be a frequent flier and airlines in your country offer bonus points which you can turn into flight distances, like in the USA for example, take advantage of these offers! Read about the airlines’ policy, how to get bonus points from branded credit cards watch out for promotions like earning additional points for watching simple ads or buying a product that you use with or without the bonus points! If you don’t live too far from London and a trip via train or bus is an option, but a slower than flights option – think about what you can spend the saved money on when in London; after all we’re talking about saving money, not time. Of course, the best way to find your deal is through the internet. Prepare to lose a good two-three hours on this and start browsing through all online booking websites to see how prices are rated for the parts of London you would like to stay in. 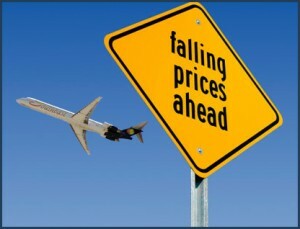 Booking a hotel online will save you a lot of trouble during your stay and will inevitably show you the lowest prices. Additional tip: When choosing an area to stay in, keep in mind that just a bit cheaper rooms outside the central part of city might prove to be more expensive when combined with transport costs! Again, booking accommodation well in advance also helps you save. If you are not completely sure in your future, it’s always an option to pay £10-30 more for right to cancel a couple of days before the booked date and get your money back. It will still cost you less than booking the week before your trip. If you’re on a saving up mission, than luxury is not your aim. There are a lot of budget options for staying in London. You can browse for hostels which offer really affordable prices, but this means sharing a room which wouldn’t be a blissful experience unless you are a group of friends. For couples a better option is to search for a Bed & Breakfast hotel or subscribe for the bulletins of cheap chain hotels like Premier Inn, Holiday Inn Express, Travelodge, Ibis or Tune Hotels. And actually, if you are more of a world traveler, it is even possible to camp around London – look at the appropriate places to do that. Another accommodation option is staying at one of the universities’ Halls of Residence provided you come during students’ breaks. My last proposition would be a simple website operating in many countries which offers you small apartments directly from their owner and their huge advantage is having a kitchen – http://www.wimdu.com/. Your best bet it with an Oyster Card. You can order one in advance – just figure out where you will be staying and where you would like to go sightseeing, so that you could pay only for the zones you need and not for all the six. Frankly, the best combination between staying and transport costs would be to pick a room somewhere in zone 2, as they are indeed significantly cheaper than rooms just in the center of London and a weekly oyster card for zones 1 and 2 will cost you around £30. Take a look at London’s zones. 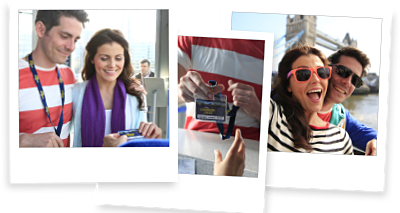 If you are planning on travelling around all the parts of London, keep in mind that London Pass offers come with a discount on Travel Cards covering all transport between all zones. But more on the London Pass later. If the weather is not awful and you are at least a tiny bit of a sports person – why not go about on a bike? London offers a great deal for renting a bike, you can use it for the whole 24 hours just for the price of £2! Read up on this Santander Cycles offer. You can always try renting a car but this is advisable if your stay is longer and you would like to travel even outside London. Otherwise, car rentals are not the most appropriate way to save money on your vacation. Or energy for that matter. And lastly, but most importantly – keep in your head the question ‘How far walking is it?’ because this is not only the cheapest of all but also the healthiest and to be honest – the most pleasant. Walking about you can lose yourself in much more sightseeing than you expected and get to know London a lot better! We all know that London gathers so many places to see that even stays for longer than a week might not be quite enough. But if you’re staying for a few days and want to see the capital’s most famous sights, than you’re in luck because many of them are free – Tate Modern, Tate Britain, British Museum, National Gallery, British Library, Natural History Museum and many more. They are quite enough to fill up at least 3 days. 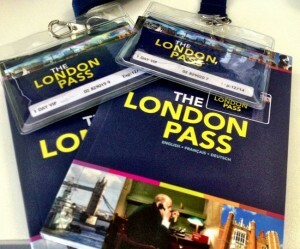 If your plan is to say for several days and try to check in as many venues as you can – then go for the London Pass. The London Pass covers more than 60 attractions in London and a nice Hop On Hop Off Bus to take you to all of them – the buses have several routes and some of them go even outside zone 1 so if you’re staying not that far from the center, you might not even need an Oyster. These passes are offered for periods of 1, 2, 3, 6 and 10 consecutive days and with them you even get a huge discount on all-zones, all-public-transport Travelcards. 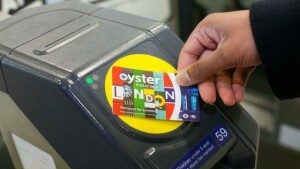 Read more about the London Pass and the Travelcard that could come with it. If none of the options above seem quite right and you want to visit some paid attractions as well as free ones, but not enough for a pass to be worth it – then don’t forget to book everything online, it costs less! Another free are of London’s attractions are the lovely parks. You can spend as much time as you want there, get to meet not only other visitors but typical locals as well and get truly in touch with London’s atmosphere. You can even make a combo and save up more by eating something while there! You can also try out more casual shows – instead of paying a small fortune for a big concert, wander around the streets and see what local clubs offer: cabaret nights, small performances and more, most of which are made by no less talented performers. Remember the apartments at Wimdu I showed you a bit earlier? Well, they are not only a way to save from accommodation but from food too. Most of them offer nice and well-equipped kitchens and with a few ingredients from the local supermarket you could make yourself great meals for no time. That is also the reason why most of them are also situated in direct proximity to supermarkets. And if you don’t like the thought of losing precious time cooking during your stay, just don’t think of it as cooking – a few sandwiches or frying something for 10 minutes is not more than a restaurant or even a fast food chain will take up. If you’re eating out, than you should know that the most affordable places are chain restaurants (some of them fast food chain restaurants whose prices you probably know from your own country) and buffets. Some of the small diners which are perfect for the occasion are Gourmet Burger Kitchen, Books for Cooks, Franco Manca, Canton and many more. 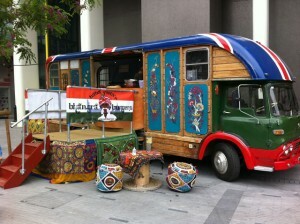 Also, a way to save money and time is just to use the so popular in London food trucks – see one, grab a bite and continue with your sightseeing. Plus they are so cute…a photo with one of them would be a great memory! Drinks are not food but are nevertheless and important part of your stay in London – if you want to hit the clubs at night, first look around for the happy hours or the popular student nights in which everything is times cheaper. And to avoid entry you should go into clubs before 10p.m. – it’s not very nice to sit in an almost empty club, but don’t worry – by midnight it’s going to be full. And lastly, aside from cooking in your own kitchen, you can just go into a store and buy an already prepared sandwich to eat in the park! Additional tip: When booking your stay, think twice about including breakfast. Some small Bed&Breakfast hotels might provide you with a morning meal for a reasonable prices, but most hotels charge too much for the amount and quality of the food they offer: for the price of one breakfast you could supply for the whole week of home-made meals or eat 2-3 times at a small street food venue. Now I hope this is not too much new information for all you eager London traveler wanna-bes. All of the tips include a lot of planning and thought which is not the most relaxing condition for a dreamed vacation, but after all, so is breaking the bank. Go through all the offers again, use the links, try to calculate the ranges of your overall costs for the desired vacation and you’ll see that it sums up a lot less than you feared it would. The planning and compromises are well worth it when it comes down the visiting this unforgettable capital!